For nearly 20 years Acoustic Strings of New England has specialized in the rental, sale, and repair of high-quality stringed instruments including violins, violas, cellos, basses, and guitars. Whether you are looking for your first instrument or a step up instrument, we pride ourselves in offering the most value for your money. At Acoustic Strings of New England you will be sure to receive a high-quality instrument set up with premium components by people who specialize in strings. All workmanship is guaranteed. You are not a number to us! We are a small company that strives hard to offer a great product with great service. Our shops are open by appointment to serve you in Arlington, MA; Somerville, MA; Keene, NH; and in the South Shore/Cape Cod area. 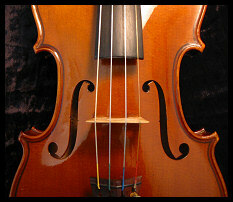 © Acoustic Strings of New England All rights reserved.